I love this time of year. The holidays bring out the creative in me even more than usual. I am sure a lot of us are like that… we might not consider ourselves crafty for 10 months out of the year, but November and December get the wheels turning. One of the easier ways to get crafty is by using really great pens. You might not have a hand that can do great things with a paintbrush (I sure don’t) but if you can hold a pen, you can create something special. 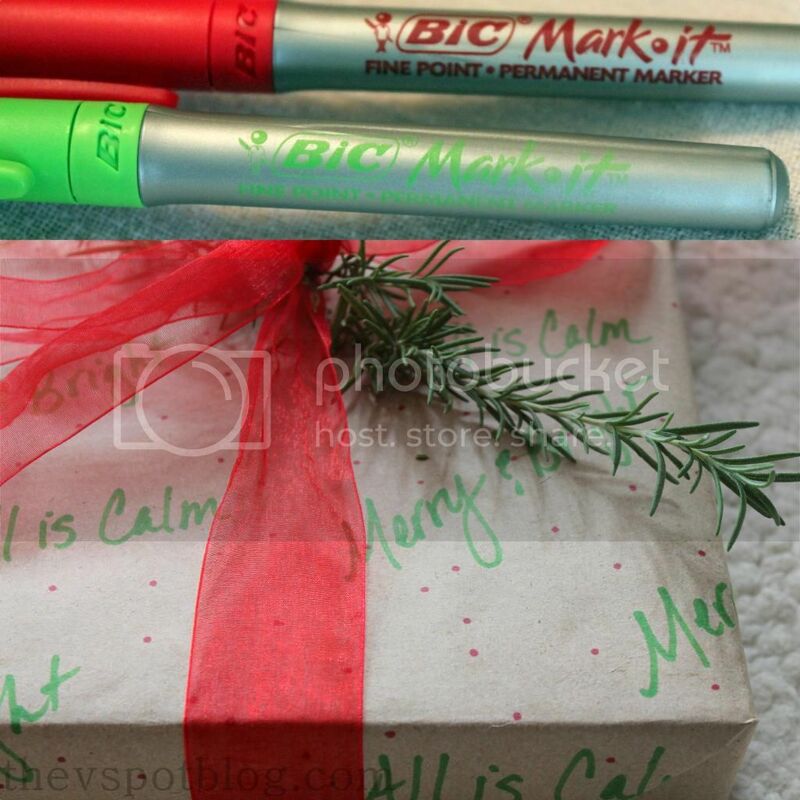 I recently was given the opportunity to try out BIC Mark-It permanent markers for BIC’s Month of Merry Marking! 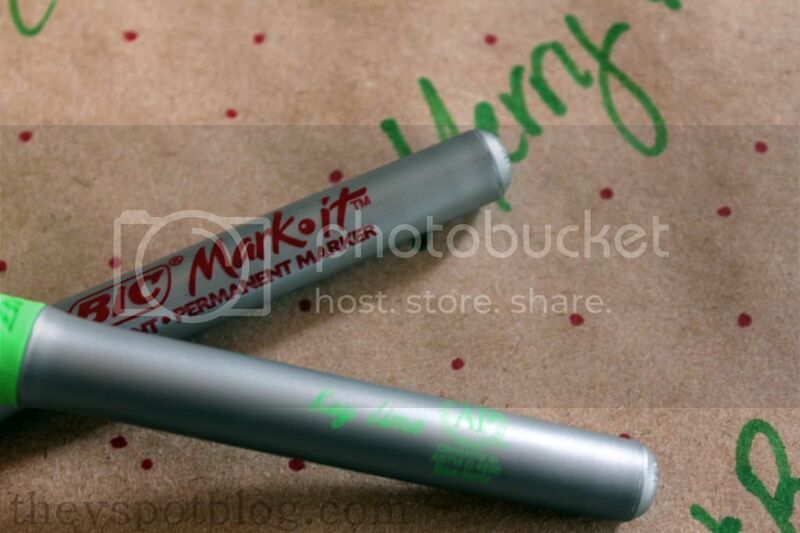 BIC Mark-It™ permanent markers offer 44 vibrant, long lasting colors for endless inspiration. One of the things you can do with these pens? DIY wrapping paper. I don’t buy Christmas wrapping paper anymore. I stocked up on a bunch at an after-Christmas sale several years ago, and my husband would not be happy to see more showing up at the house. However, sometimes I need holiday wrapping paper prior to him getting all of my Christmas stuff down from the attic for me. I need wrapping paper, and I’m not allowed on ladders. A problem. The soution? Just quickly make my own wrapping paper. If you have plain kraft paper (or even a basic brown paper bag) you can whip up easy wrapping in nothing flat. I took some plain brown paper and the Key Lime BIC Mark-It™ and just wrote out a couple of Christmasy phrases. Cover the paper with the phrases, trying for a little bit of a pattern, but don’t worry about it too much. When I had enough text on the craft paper, I thought it still needed a lil’ sumpthin’-sumpthin’ so I grabbed one of the beautiful reds and added random polka dots. Wrap package and add a bow and maybe a little greenery like fresh rosemary or holly.